Prof. Igor Jerman, doctor of biological sciences, one of the founder and director of Bion Institute - Institute for Bioelectromagnetics and New Biology in Ljubljana, explains the information processing in water and fields, firming water memory theory by J. Benveniste , scientific fields of homeopathy and digital biology. He was the Professor at the Ljubljana University lectures on evolution, molecular evolution, bioelectro magnetics, methodology of science as well as its ethics to day. At present he is directing the research of an effective transfer of molecular information and other related fields of new biology. Increasingly the researches in homeopathy and the related fields reveal the reality of the phenomena of information processing in water and electromagnetic fields. Many researches on a wide international scale are going on. But as yet there is no generally accepted hypothesis of the water memory though there is an interesting an challenging hypothesis stemming from the quantum field theory. It seems that the water memory is based on coherent endogenous EM oscillations in water. However it seems that the phenomena of this kind do not limit themselves solely on water and chemical substances where they were first observed. Therefore we need a new science whose research field would cover the before mentioned phenomena and would be an enlargement of the present scientific fields of homeopathy and digital biology. Increasingly the researches in homeopathy and the related fields like digital biology — started by J. Benveniste — reveal the reality of the phenomena of information processing in water and even electromagnetic fields (Benveniste 1994, Aissa et. al. 1993). There is even a considerably large database on basic research in homeopathy built by researchers from Germany and the Netherlands that covers more than 1200 experiments (Mathie 2003.). And there are many valuable journals devoted to the research in homeopathy. Some hypotheses try to explain water memory by changes in the water structure by forming more or less permanent “clusters” (Fesenko, Gluvstein 1995, Rai 1995). Maybe the most profound but also difficult theory to understand is the one belonging to the quantum field theory (Giudice 1994, Vitiello 2001) . It supposes that water dipoles may develop phase coherent oscillations through radiation coupling. Yet it is only a theory with no clear way of proving its claims. In this presentation I want to demonstrate that contrary to the belief of the academic science, the memory of water is a fact that tackles not only chemistry and biology but also physics, medicine and many other applicative sciences. that organisms emit some form of a very weak radiation which according to the present scientific knowledge is closest to the ultra-weak electromagnetic radiation. After the imprinting into water it appears to modify the physical characteristics of the latter. For instance, some experiments showed that normal spruce seeds watered by water imprinted with the radiation field of dying seedlings reacted with significant slowing germination and have a tendency to grow more slowly than the control ones (watered by unexposed water) (Jerman et al.1996). We proceeded with investigating the influence of the artificial microwave irradiation (frequency 10 GHz) on water by means the computerised electrophotography . Water drops were taken from the previously irradiated and control (unexposed) water. Several image parameters related to the luminosity, shape, and streamers of the image were calculated and tested non-parametrically. From many tests we found an almost linear dependence of the number of significant differences in the image parameters (Figure 1) (Kmecl et al. 2000). Encouraged by the positive results of our two previous testings we tried to imprint ionic information into water. We chose KI in increasing homeopathic dilutions. The potassium iodide (KI) mother solution (0.1M) was diluted in the standard way (without potentisation) or with potentisation (succussions by striking the vial against a large book) to 10-3 M, 10-6 M , 10-10 M, 10-16 M, 10-17 M and 10-24 M KI solutions. In the electrography method a drop of the KI solution was compared with a drop of control water. To get a dependable system of the results we compared homeopathic dilutions with ordinary distilled water, sham-potentised distilled water and non-potentised (standard) solutions of KI. The results were analyzed by the Chi-square Goodness-of-fit test and Sign test. They showed repeatable and statistically significant effects of the concentration of KI dilutions as well as the potentisation on the corona discharge process (from 0.001 < p < 0.05). All this well indicated that there was some physical basis of ionic information imprinted into water (Jerman et al. 1999). Our recent and present research in this direction is presented by Romana so I will not go into it more deeply. Suffice it to say that we learned to imprint molecular information into water by a high voltage electric field. A paper soon to be published in the journal Physica A shows that even when diluted to homeopathic levels, salt solutions change the structure of hydrogen bonds in water. Swiss chemist Louis Rey made the discovery while using a technique called thermoluminescence to study molecular structure (Milgrom 2003). The technique involves bathing a chilled sample with radiation. Warming up again causes the stored energy to be released as light in a pattern that reflects the atomic structure of the sample. Rey used the system to study the pattern of hydrogen bonds within ice. He used heavy water (D2O), because it has stronger hydrogen bonds than hydrogen. After examining pure water samples, Rey looked at solutions of LiCl and NaCl. They revealed specific patterns; they were discernible also after the dilution well beyond the point when any ions of the original substances could remain. An extensive thermodynamic study has been carried out on aqueous solutions obtained through successive dilutions and succussions of 1% in weight of some solutes up to extremely diluted solutions, (less than 1x10-5 mol kg-1) obtained via several 1/100 successive dilution processes (Elia, Nicoli 1999). The interaction of acids or bases with the extremely diluted solutions has been studied calorimetrically at 25°C. Despite the extreme dilution of the solutions, an exothermic heat of mixing in excess has been found, in about the 92% of the cases, with respect to the corresponding heat of mixing with the untreated solvent. The researchers conducted over 500 experiments, approximately half of which were made with double-distilled water that was mixed with a specific acid and base substance and half were in the control group of only double-distilled water. There is no generally accepted theory that would cover the phenomenon. By many researchers it was found that information from various molecules can be transferred by a process of stepwise aqueous dilution and agitation or by means of an electronic circuitry (Aissa et al. 1993, Endler 1991, 1994a), it can be stored on a compact disk and it can even exert its effect through the wall of a sealed glass vial (Endler et al. 1994b) or transported via telephone and internet (www.digibio.com). It seems that the nature of this information capture, transmission and expression is tightly connected to the electromagnetic field. The before mentioned quantum field theory researchers have revealed that water dipoles may develop phase coherent oscillations through radiation coupling. The model predicts that the ground state of condensed mater is determined not only by short-range forces between the molecules and atoms, but also by long range interactions mediated via the endogenous electromagnetic field. The phase coherent oscillations of the medium may then represent molecular information; their quantum coherent domains measure around 100m in diameter and could arise in pure water. The theory shows how the collective vibrations of water molecules in the coherent domain eventually become phase-locked to the fluctuations of the global electromagnetic field. In this way, long-lasting, stable oscillations could be maintained in water. One way in which “memory” might be stored in water is through the excitation of long-lasting coherent oscillations specific to the substances in the homeopathic remedy dissolved in water. Interaction of water molecules with other molecules changes the collective structure of water, which would in turn determine the specific coherent oscillations that will develop. If these become stabilised and maintained by phase coupling between the global field and the excited molecules, then, even when the dissolved substances are diluted away, the water may still carry the coherent oscillations that can “seed” other volumes of water on dilution. And somewhat the oscillations may at least in some cases cause similar effects as the substances themselves. The memory of water is a real phenomenon that deserves full scientific attention. The dogmatism of scientific establishment is untenable and deeply unscientific. There is not only the memory of water; in the broader sense we could speak about the memory genuine to matter and fields. From our own experiments as well as from many others we learn that the imprinting process is not limited only to molecules (homeopathy), but also to electromagnetic fields and even physiological states of organisms. It seems to be a good working hypothesis that a special coherent state of matter and energy or perhaps coherent energy-matter is behind these phenomena. The phenomena of molecular and even physiological information imprinting into water and other media are probably but the tip of the iceberg of the unknown laws and characteristics of matter and energy that may revolutionise not only medicine and biology, but also chemistry, physics among the basic natural sciences and the related applicative sciences as well. Aissa, J., Litime, M.H., Attis, E., and Benveniste, J. (1993) Molecular signalling at high dilution or by means of electronic circuitry, J.Immunol . 150, A146. Benveniste, J (1994): Transfer of biological activity by electromagnetic fields, Electromagnetics & VDU News , January/June: 10-12, 1994. Endler PC, Pongratz W, Kastberger G, Wiegant FAC, Schulte J (1994): The effect of highly dilluted agitated thyroxine of the climbing activity of frogs. Vet Hum Toxicol 36: 56-59 . Endler PC, Pongratz W, van Wijk R (1994): Transmission of Hormone Information by Non-molecular Means, FASEB Journal 8: 2313. Endler PC, Pongratz W, Van Wijk, R, Kastberger G, and Haidvogl M (1991): Effects of highly diluted sucussed thyroxine on metamorphosis of highland frogs, Berlin J Res Hom 1, 151-160. 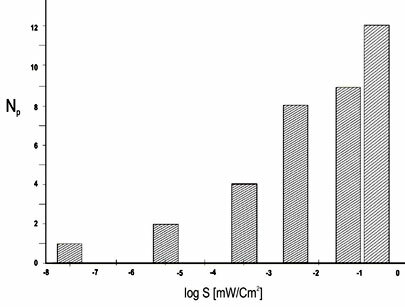 Jerman I, Berden M, Škarja M (1999): Instrumental measurements of different homeopathic dilutions of potassium iodide in water. Acupuncture & Electro-therapeutics Res., Int.J. 199:24(1): 29-44. Jerman I. , Berden M., Ruic R. (1996): Biological influence of ultraweak supposedly EM radiation from organisms mediated through water. Electro Magnetobiol 15 (3): 229-244. Kmecl P, Jerman I, Škarja M (2000): Microwave electromagnetic field affects the corona discharge pattern of water Electro Magnetobiol. 19(2):135-148. Rai S, Singh UP, Singh AK (1995): X-ray determination of magnetically treated liquid water structures. Electr Magnetobio l 14(1), 23-30. Vitiello G (2001): My double unveiled . John Benjamin Publishing Company, Amsterdam , Philadelphia.